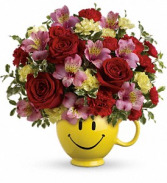 Vase or Container may vary due to availability. Tulip availability will also vary. 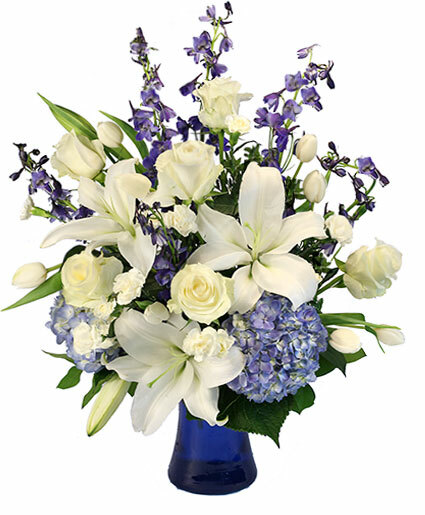 Show your sympathy with style and grace. 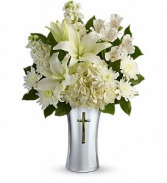 A shining silver finish and reverent cross cut-out makes this stunning ceramic vase the perfect accompaniment for a lush bouquet of pure white hydrangea, lilies, alstroemeria and stock.